My new print – Smoky Mountain Dawn – 8×10 with 11×14 matte, signed and ready for framing. Only $20 – great gift for weddings, anniversaries, new home, etc. For another $5, I will mail it to anywhere in US. 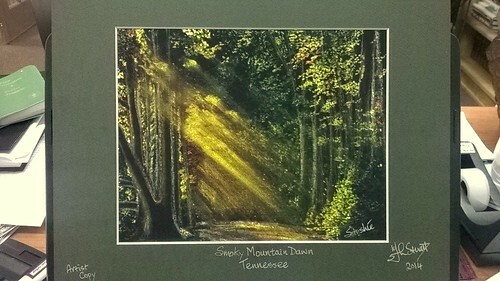 Contact me at Traqair@aol.com if interested – put Smoky Mountain print in topic line.